J.T.’s Discount Verticals the leader in FULL SERVICE window treatment sales & installations. Providing quality Silhouette Shades to the Staten Island, NY area. 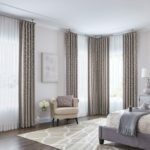 With our FREE shop-at-home service we bring a complete window treatment showroom direct to you, which allows you to choose from 100’s of samples of Silhouette Shades from a wide variety of the most popular and stylish manufacturers right from the comfort of your own home, apartment or office. See which Silhouette Shades styles and colors work best with the color, style and look and get professional advice, tips and experience on the best choices for your home, apartment or office. Premium service, selection and expertise you will not get from big box chains. Silhouette shades or blinds are able to let natural light shine through the window even when the blinds are closed. Homeowners prefer using Silhouettes for their homes because they combine the best of both mini blinds and cellular shades. With Silhouette blinds, your windows will look modern and classy whether you have the blinds open or closed. With Silhouette blinds, the soft fabric of the blinds lets the sunlight filter through. You can rotate the slats to any angle to control the shade you need for the space. Even though light can come through Silhouette window blinds, anyone outside the window cannot through to the inside. Therefore, silhouettes shades provide a perfect combination of privacy and sunlight. 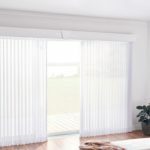 StatenIslandBlinds.com offers a huge selection of silhouette shades that come complete with FREE home shopping, FREE measurements and FREE installation. Serving Staten Island NY for more than 30 Years we have the selection, price and service to make you choice of window coverings one that will make your home comfortable at a price and convenience not offered by online catalogs or big box retailers in Staten Island NY.